Parker Palmer's "On the Brink of Everything"
Occasionally an author’s published work finds its way to a curiously broad demographic of readers—at once appealing to multiple generations, a truly ecumenical palette of Christian traditions, and people with religious interests informed by both the east and west. Parker J. Palmer is one such writer. 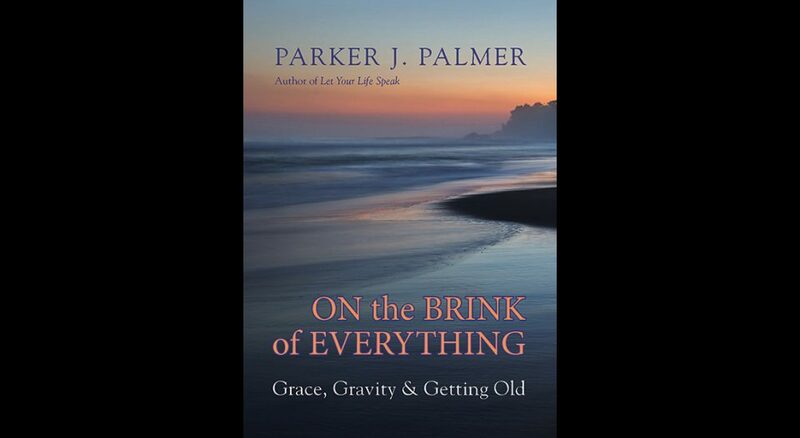 The author of 10 books over a 40-year span, the 80-year-old Palmer’s most recent work is On the Brink of Everything: Grace, Gravity & Getting Old (Berrett-Koehler, 2018), the title of which could lead one to believe it’s for the AARP crowd only. That would be a mistake. On the Brink of Everything, like Palmer’s books Hidden Wholeness, The Courage to Teach, The Company of Strangers and Let Your Life Speak before it, is written with (adult) readers young, old and in-between in mind. In its pages, we find evidence of Palmer’s commitment to staying engaged with the world (or what he calls “reaching out”) and staying engaged with our souls (what he labels “reaching in”). Like many authors, Palmer uses writing as a way to understand his own questions, fears and hopes. But the reader comes away with the distinct sense that Palmer also hopes that we will find a pathway to understanding our past, present and future with a more clear-eyed perspective as a result of exposure to his essays. The book is grouped into seven thematic sections, with the aging process—and the wisdom and challenges that come with it—as the literary thread. With crisp, succinct writing and a touch of humor, it covers topics such as the dance of the generations, writing a life and where we go when we die. As he offers up these reflections, Palmer draws on a diverse set of resources, including Thomas Merton, G.K. Chesterton, Chuang Tzu, Paul Tillich, Gandhi and contemporary writer Diane Ackerman. On the Brink of Everything is far more about life than about death. And like a fine cup of tea on a winter’s night, it’s a book to sip and savor rather than gulp down in a single sitting. Jeff Crosby is a member of Faith Lutheran Church in Glen Ellyn, Ill. He is the editor of the collection Days of Grace Through the Year.